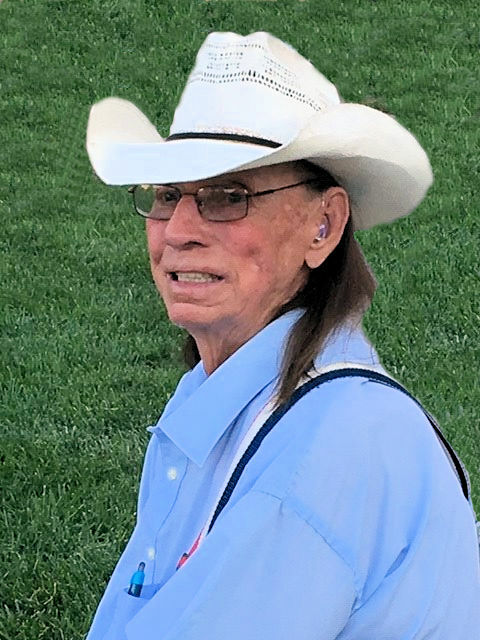 Bernard “Bernie” Anderjaska, 84 of Loup City, NE died Sunday, November 18, 2018 at the Good Samaritan Society, Hastings Village, Perkins Pavillion in Hastings, NE. Mass of Christian Burial will be 10:30 a.m. Saturday, November 24, 2018 at St. Josaphat’s Catholic Church in Loup City. Father Richard Piontkowski will Celebrate the Mass. Military honors will follow mass outside of St. Josaphat’s and will be provided by the Loup City American Legion Post #48. Lunch will follow and inurnment will be held at 4:00 p.m. Saturday at the Sacred Heart Catholic Cemetery at Hayes Center, NE. Visitation will be from 5:00 p.m. to 7:00 p.m. Friday, November 23 at the church with a Knights of Columbus Rosary to be held at 7:00 p.m. at the church. Memorials are suggested to the Loup City Library, St. Josaphat’s Catholic Church or donor’s choice. Bernard A. Anderjaska was born December 28, 1933 at Frontier County, NE to Joseph and Lucy (McCracken) Anderjaska. He grew up in Sidney, NE and attended St. Patrick’s Academy graduating in 1952. He entered the United State Army on July 28, 1953 where he was an MP. He was discharged on May 19, 1955. After his discharge he married Dorothy Roberts. They rented a farm near Maywood, NE. They had six children. In 1962 he purchased a ranch outside of Loup City, NE. He worked as a heavy equipment operator and also worked for Sherman County. He enjoyed ranching and taking care of his sheep and cows. He enjoyed entertaining with his magic tricks. Bernard enjoyed collecting junk and repurposing his treasures. He was a member of St. Josaphat’s Catholic Church, Knights of Columbus and hardly ever missed a Sunday. Bernard even rode his horse to church once when there was a blizzard. He is survived by his daughter, Jane Nichols of Kansas City, KS; sons, Mitch Anderjaska of Loup City, NE; Ed Anderjaska of Phoenix, AZ; daughter, Nannette (Steven) Shackleford of Clay Center, NE; son, Vincent Anderjaska of Hastings, NE; daughter, Victoria (Mike) Daniels of Grand Island, NE; eight grandchildren, Jason, Lacey, Rachel, Loren, Noah, Adam, Blake and Haley; two great grandchildren, Alexander and Amelia; brother, Coran (Tom) and wife, Mary Ann Anderjaska of Hayes Center, NE; two sisters, Claire Uerling of Indianola, NE and Audrey (Jim) Suiter of McCook, NE. He was preceded in death by his parents, Joseph and Lucy; sister, Joan Barger; three brothers, Arnold, Conrad and Jerry.